Mr Malcolm McCusker, Chairman of the Executive Board of the Western Australian Health Translation Network (WAHTN) is pleased to announce the appointment of Professor John Challis, currently Pro Vice Chancellor (Health and Medical Research), The University of Western Australia as the Executive Director of the WAHTN. The WAHTN is a consortium comprising all health researchers in Western Australia: Curtin University (CU), The Department of Health (DOHWA), Edith Cowan University (EC), Fiona Stanley Hospital (FSH), Fremantle Hospital (FH), Harry Perkins Institute of Medical Research (Harry Perkins), King Edward Memorial Hospital (KEMH), Lions Eye Institute (LEI), Institute of Respiratory Health (IRH), Murdoch University (MU), Notre Dame University (Notre Dame), Princess Margaret Hospital (PMH), Royal Perth Hospital (RPH), Sir Charles Gairdner Hospital (SCGH), the Telethon Kids Institute (Telethon Kids), UWA and the Western Australian Neuroscience Research Institute (WANRI). Its vision is to achieve better health outcomes for the Western Australian community through integrated discovery, translation and clinical care delivery. 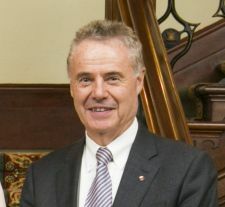 Professor John Challis has held the position of Pro Vice-Chancellor for Health and Medical Research, UWA, since February 2014. His role has been to provide academic leadership in driving the institution and its collaborations, particularly in Western Australia, to increase the WA share of the National Health and Medical Research funding, and medical and health sciences funding from all other sources. He was a key driver in the successful inaugural Science on the Swan meeting, which aimed to achieve this, in April 2015. John also holds the title of University Professor Emeritus at the University of Toronto, and Adjunct Professor at the University of British Columbia and at Simon Fraser University. He is Principal of LHC, Life Health Consulting, based in Vancouver BC. John completed his training at the Universities of Cambridge, University of California, San Diego and Harvard Medical School and held a junior research fellowship at Wolfson College, University of Oxford, before moving to McGill University, Montreal, Canada. More recently he served as Chair of the Department of Physiology at the University of Toronto, and later as Vice President Research and Associate Provost of that University. He was the inaugural Scientific Director of the Canadian Institutes for Health Research, Institute of Human Development, Child and Youth Health and served as President and CEO of the Michael Smith Foundation for Health Research In Vancouver BC. Author of more than 500 peer review papers and chapters, he has trained more than 100 graduate students and postdoctoral fellows, and held in excess of $25 million peer reviewed research funding. He is a Fellow of the Royal College of Obstetricians and Gynaecologists, the Institute of Biology, the Canadian Academy of Health Sciences and the Royal Society of Canada. John will commence the role from 1 September and looks forward to advancing the WAHTN so that it will be recognised as an Advanced Health Research and Translation Centre operating at an international level within the term of his appointment.